Historical monuments and French heritage. The Zuber factory still uses the original woodblocks engraved between 1797 and 1830 to print the wallpapers, fabric and leather. 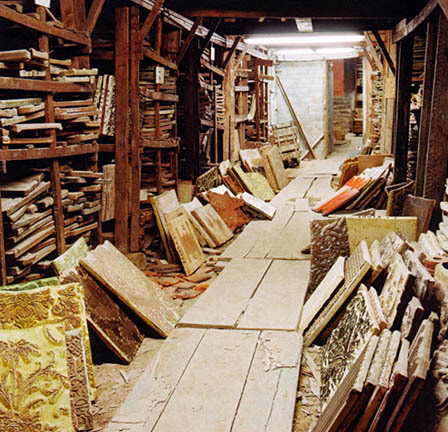 In total, over 150,000 woodblocks are stocked in the medieval vaulted cellars (XVth century) of the factory. These woodblocks are listed as historic monument and are part of the French heritage.